You are currently browsing the tag archive for the ‘Signals’ tag. Photo – Signal traces, September 2013, Vitorino Ramos. […] While pheromone reinforcement plays a role as system’s memory, evaporation allows the system to adapt and dynamically decide, without any type of centralized or hierarchical control […], below. “[…] whereas signals tends to be conspicuous, since natural selection has shaped signals to be strong and effective displays, information transfer via cues is often more subtle and based on incidental stimuli in an organism’s social environment […]”, Seeley, T.D., “The Honey Bee Colony as a Super-Organism”, American Scientist, 77, pp.546-553, 1989. […] If an ant colony on his cyclic way from the nest to a food source (and back again), has only two possible branches around an obstacle, one bigger and the other smaller (the bridge experiment [7,52]), pheromone will accumulate – as times passes – on the shorter path, simple because any ant that sets out on that path will return sooner, passing the same points more frequently, and via that way, reinforcing the signal of that precise branch. Even if as we know, the pheromone evaporation rate is the same in both branches, the longer branch will faster vanish his pheromone, since there is not enough critical mass of individuals to keep it. On the other hand – in what appears to be a vastly pedagogic trick of Mother Nature – evaporation plays a critical role on the society. Without it, the final global decision or the phase transition will never happen. Moreover, without it, the whole colony can never adapt if the environment suddenly changes (e.g., the appearance of a third even shorter branch). While pheromone reinforcement plays a role as system’s memory, evaporation allows the system to adapt and dynamically decide, without any type of centralized or hierarchical control. […], in “Social Cognitive Maps, Swarm Collective Perception and Distributed Search on Dynamic Landscapes“, V. Ramos et al., available as pre-print on arXiV, 2005. […] There is some degree of communication among the ants, just enough to keep them from wandering of completely at random. By this minimal communication they can remind each other that they are not alone but are cooperating with team-mates. It takes a large number of ants, all reinforcing each other this way, to sustain any activity – such as trail building – for any length of time. Now my very hazy understanding of the operation of brain leads me to believe that something similar pertains to the firing of neurons… […] in, p. 316, Hofstadter, D.R., “Gödel, Escher, Bach: An Eternal Golden Braid“, New York: Basic Books, 1979). […] Since in Self-Organized (SO) systems their organization arises entirely from multiple interactions, it is of critical importance to question how organisms acquire and act upon information . Basically through two forms: a) information gathered from one’s neighbours, and b) information gathered from work in progress, that is, stigmergy. In the case of animal groups, these internal interactions typically involve information transfers between individuals. Biologists have recently recognized that information can flow within groups via two distinct pathways – signals and cues. Signals are stimuli shaped by natural selection specifically to convey information, whereas cues are stimuli that convey information only incidentally . The distinction between signals and cues is illustrated by the difference on ant and deer trails. 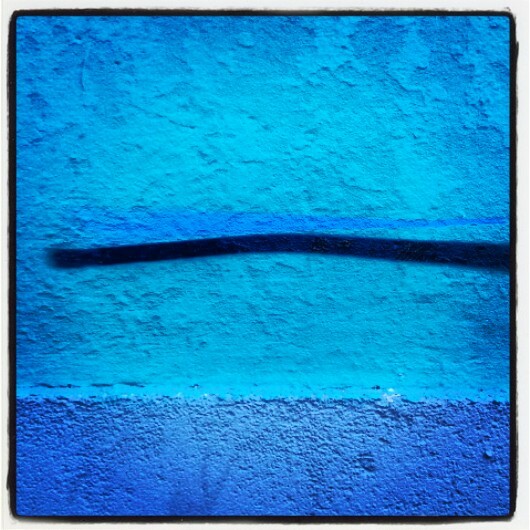 The chemical trail deposited by ants as they return from a desirable food source is a signal. Over evolutionary time such trails have been moulded by natural selection for the purpose of sharing with nest mates information about the location of rich food sources. In contrast, the rutted trails made by deer walking through the woods is a cue, not shaped by natural selection for communication among deer but are a simple by-product of animals walking along the same path. SO systems are based on both, but whereas signals tends to be conspicuous, since natural selection has shaped signals to be strong and effective displays, information transfer via cues is often more subtle and based on incidental stimuli in an organism’s social environment  […], in “Social Cognitive Maps, Swarm Collective Perception and Distributed Search on Dynamic Landscapes“, V. Ramos et al., available as pre-print on arXiV, 2005. Complex adaptive systems (CAS), including ecosystems, governments, biological cells, and markets, are characterized by intricate hierarchical arrangements of boundaries and signals. In ecosystems, for example, niches act as semi-permeable boundaries, and smells and visual patterns serve as signals; governments have departmental hierarchies with memoranda acting as signals; and so it is with other CAS. Despite a wealth of data and descriptions concerning different CAS, there remain many unanswered questions about “steering” these systems. In Signals and Boundaries, John Holland (Wikipedia entry) argues that understanding the origin of the intricate signal/border hierarchies of these systems is the key to answering such questions. He develops an overarching framework for comparing and steering CAS through the mechanisms that generate their signal/boundary hierarchies. Holland lays out a path for developing the framework that emphasizes agents, niches, theory, and mathematical models. 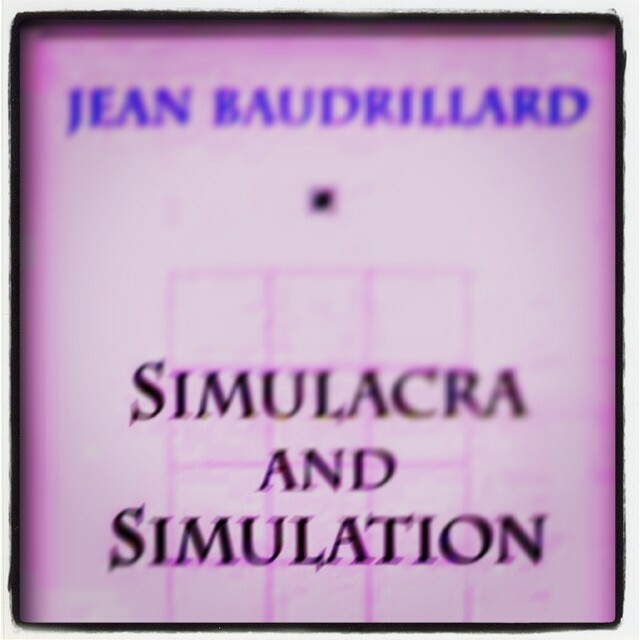 He discusses, among other topics, theory construction; signal-processing agents; networks as representations of signal/boundary interaction; adaptation; recombination and reproduction; the use of tagged urn models (adapted from elementary probability theory) to represent boundary hierarchies; finitely generated systems as a way to tie the models examined into a single framework; the framework itself, illustrated by a simple finitely generated version of the development of a multi-celled organism; and Markov processes. 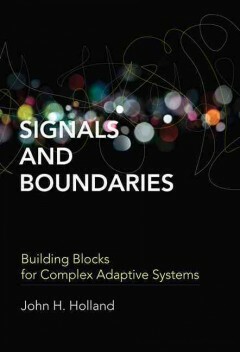 in, Introduction to John H. Holland, “Signals and Boundaries – Building blocks for Complex Adaptive Systems“, Cambridge, Mass. : ©MIT Press, 2012.